Since football season is ONE month away I decided to do a countdown of one item a day that I LOVE about football! I am a SOONER at heart so many of my items show my love for the University of Oklahoma but most items can convert to other teams! First up you ask? LOCATION, LOCATION, LOCATION! When we tailgate we go to SooneRVillage! Mark’s parents have an Airstream which is PERFECT. We can cook, have electricity and most importantly a CLEAN bathroom! This tailgate season will be our 7th year there and our tailgate continues to grow…. Mostly because of all the new babies but new friends attend too! 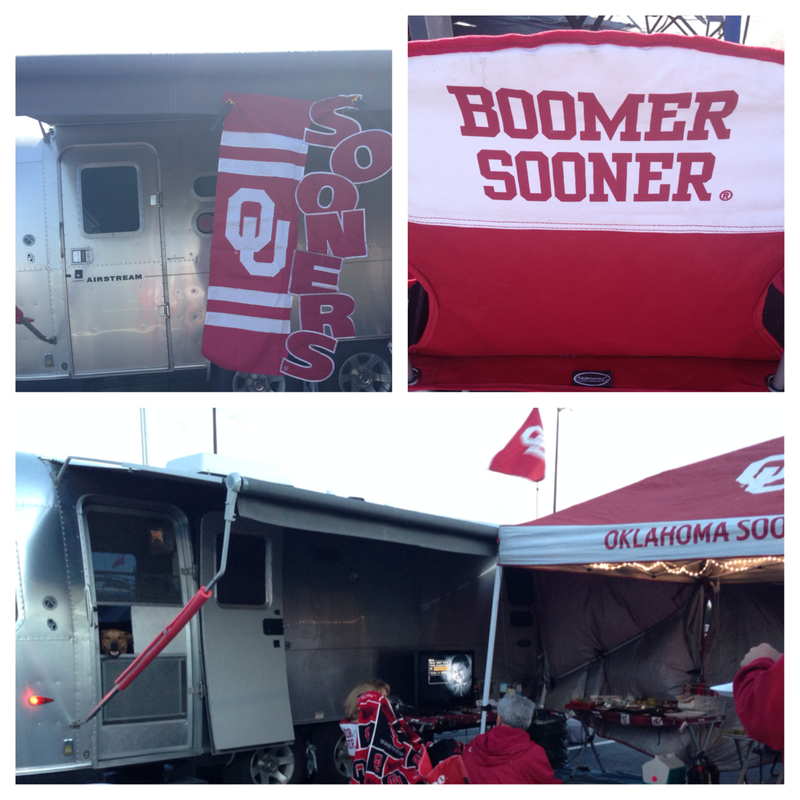 Here are a few pictures of our tailgate! What are you favorite football items? I will be covering food, fashion, tech and much more in the next 30 days!